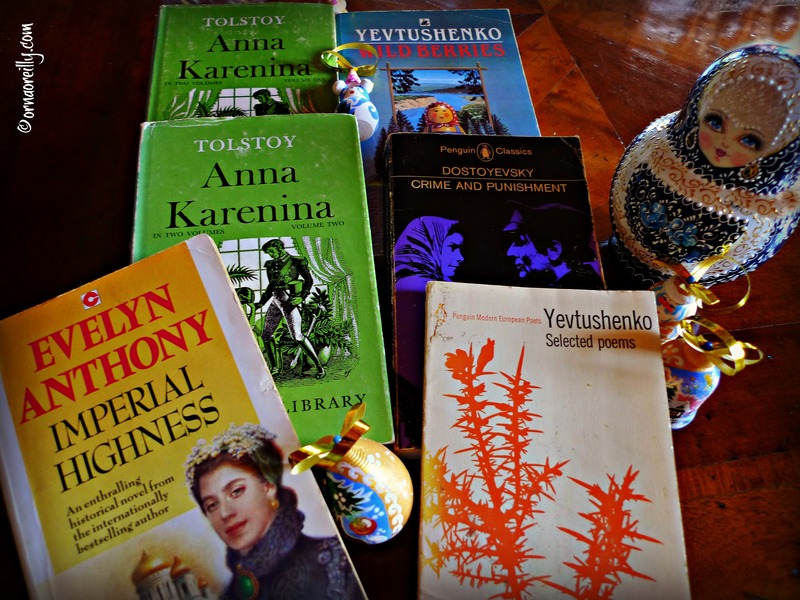 Ever since I read Tolstoy’s wonderful book, Anna Karenina, many years ago, I have longed to visit Russia. Russian literature has always fascinated me; from Dostoyevsky’s nail-biting “Crime and Punishment” to the recent detective novels by R. N. Morris, I have always wanted to wander down the romantically named street Nevsky Prospekt in St. Petersburg, a city so full of the checkered history of the Romanov family it has never ceased to intrigue me. So, imagine my excitement when I was invited to visit there by Insight Vacations, to take part in their Easy Pace Russia tour with Tom Weber, The Palladian Traveler, who has journeyed with this excellent company on several occasions. Our exciting journey would take us to St. Petersburg, followed by a trip to Moscow by the Sapsan bullet train. Arriving one day early in St. Petersburg, we had a day to ourselves before the other members of our group arrived. Well, no prizes for guessing what I wanted to do in order to get my bearings in St. Petersburg and to sample the Russian lifestyle: a long stroll down the full length of Nevsky Prospekt and back. Nevsky Prospekt is the famous main avenue in St. Petersburg, which takes one through the heart of the historical centre of the city. Wander with me past the wonderful old palaces and down some of the side streets to see what’s on offer. St. Petersburg is comparatively new compared to other European cities, having been established only in 1703 by Tsar Peter the Great, the first emperor of Russia. Built on a marsh on the shores of the Baltic Sea, it is often referred to as the Venice of the North, but in reality it looks nothing the Venice with which I am so familiar, and has more in common with Amsterdam, though French architectural style is much in evidence. Beginning our exploration at Vosstaniya Square we walked the entire length of Nevsky Prospekt to the River Neva. Let’s take a look at some of the stately buildings along the way. 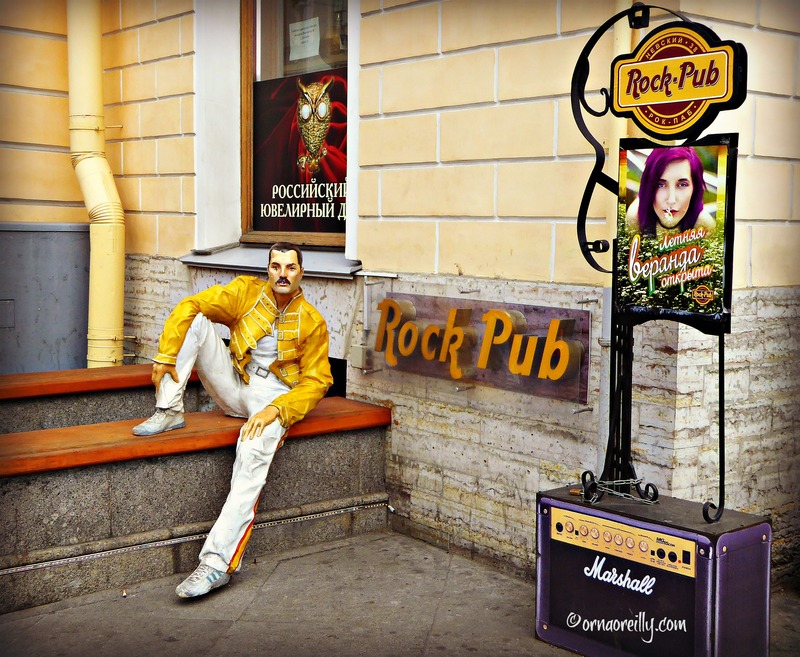 ….and some fun coffee mugs certainly caught my eye…..
…as did a lifelike replica of Freddie Mercury outside the Rock Pub. Our first detour took us along the banks of the River Fontanka where we entered a park where we were greeted by a statue of the great poet Pushkin, while behind him loomed the enormous Mikhailovsky Palace, which houses the Russian Museum. Back on Nevsky Prospekt, while crossing the Anichkov bridge we admired the four stages of training a horse which represents the struggle of Man versus Nature. We stopped to photograph an enterprising gentleman who was doing a brisk trade selling coffee from the back of a van. Taking a side turning along the bank of the Griboyedov Canal, we virtually swooned with delight at our first sight of the Church of the Spilled Blood, built on the exact spot where Emperor Alexander II was assassinated. Returning to Nevsky Prospekt, we admired the facade of Kazan Russian Orthodox Cathedral. In all, a total of seven different religious denominations are represented on Nevsky Prospekt, which is pretty extraordinary. Merchants Yard shopping centre – Great Gostiny Dvor – is 230 years old and was the first shopping centre in St. Petersburg. Apparently, these days the locals rarely shop there as they say it is too expensive. We decided to stop for lunch and, keen to sample some local fare, we stopped at the Soviet Cafe, a basement eatery, which was pretty quaint. Arriving in Palace Square, the Winter Palace greeted us in all its splendid glory. 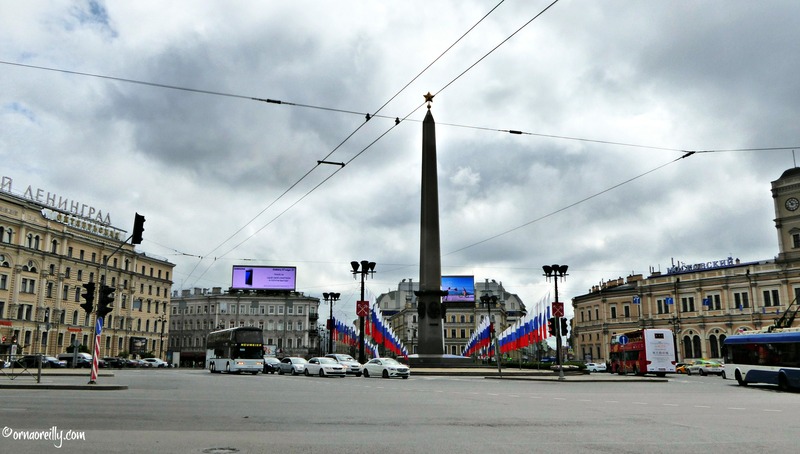 In the centre of the square is a huge column weighing 600 tons and made of one piece of granite. It was built to commemorate Alexander I’s victorious campaign against Napoleon. The beautiful turquoise and white Winter Palace was originally built for Empress Elizabeth (daughter of Peter the Great) but she died before she could move in and Catherine II lived there, as did later Tsars. It now houses the Hermitage Museum which was to be on our agenda with Insight Vacations during our visit to St. Petersburg. Finally, arriving at the bridge spanning the River Neva, we took in our splendid surroundings. Returning to our hotel, the welcoming Crowne Plaza Ligovsky, I checked my pedometer and saw that we had walked just short of 18,000 steps; a staggering (literally!) 12 km. What a start to our Easy Pace Russia trip, courtesy of Insight Vacations! With an action-packed itinerary for the week ahead, let the journey begin! For full details click HERE. 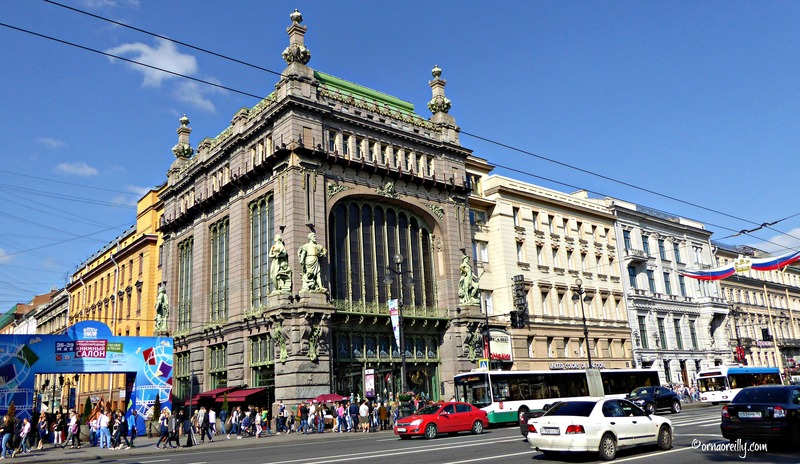 Nice photo-essay of this iconic high street in St. Petersburg. Well done, you!